PRESIDENT Mnangagwa yesterday said a cocktail of reforms to the labour law being crafted by Government were part of his administration’s commitment to creating a safe and enabling environment for workers. In a statement to mark Workers Day, Mnangagwa said workers, being the backbone of the economy, needed protection. “Workers’ Day is an opportunity to pay tribute to the Zimbabwean workers – the backbone of our economy,” President Mnangagwa said in a message posted on his Facebook page. He said the reforms being implemented would ensure that workers were not exploited. “We must also protect our workers and ensure that they cannot be taken advantage of,” President Mnangagwa said. “That is why Government is developing a raft of labour law reforms as part of our commitment to creating a safe and enabling environment for workers. The Tripartite Negotiating Forum (TNF), which brings together labour, business and Government has continuously reviewed and aligned labour laws to the Constitution to address challenges such as unfair dismissals. Workers’ rights have been violated by some employers but the amendments being drafted tackle contentious issues which also include termination of contracts on notice, retrenchments, maternity leave and disciplinary procedures. It is envisaged that the changes will bring sanity to the labour market while collective bargaining platforms will also be strengthened. Trade unions yesterday held celebrations to commemorate Workers Day at different venues across the country’s 10 provinces. The Zimbabwe Federation of Trade Unions (ZFTU) held their main celebrations at Zimplats Baobab Stadium in Ngezi while Zimbabwe Congress of Trade Unions (ZCTU) affiliates were gathered at Dzivarasekwa Stadium. The ZCTU Workers Day commemorations were largely an MDC-T rally. MDC-T president Mr Nelson Chamisa and senior MDC-T officials literary took over the event and turned it into a political gathering at which they took turns to attack Government. Meanwhile, mine workers have called on the Government to ensure that the National Employment Council (NEC) incorporates all registered workers unions and employers organisations in the industry. Speaking during May Day commemorations held at Turk mine in Bubi district yesterday, Zimbabwe Diamond and Allied Minerals Workers Union (ZDAMWU) secretary general Mr Justice Chinhema said miners’ working conditions were still poor because of lack of representation in the NEC. “The biggest problem that we have as mine workers is that the NEC that governs the operations of mines is monopolised. Our Labour Act should be amended such that it allows all registered unions and employer organisations in the industry to participate in the NEC,” he said. Mr Chinhema said Government should set a wage minimum that corresponds with the Poverty Datum Line (PDL). He commended the Government for its initiatives to lure investors. Mr Chinhema said there was hope for improvement of working conditions in the new dispensation. “We welcome genuine investors not looters and exploiters. By this we are in full support of the Government on its mantra that Zimbabwe is open for business. The Government is ushering in a new beginning, bringing hope that had been lost. 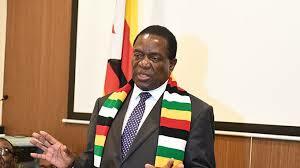 We are confident and looking forward to exciting times in this new dispensation,” he said. Mr Chinhema said mine workers should be recognised as they play a role in boosting the country’s economy. In Gweru, the May Day celebrations were held at Mkoba Stadium where the ZCTU Central Region chairperson Mr Kudakwashe Munengiwa implored Government to engage workers as they are important stakeholders. Mr Munengiwa said workers are a vital cog in the “Zimbabwe is open for business” mantra espoused by President Mnangagwa. “We are appealing to Government which has been saying to everyone else Zimbabwe is open for business. We have heard that as workers but we want to experience that, particularly the engagement of workers,” he said. “We have seen Government engaging other stakeholders but it’s now time to engage us in the labour movement because we are the fuel upon which the engine of the economy is fuelled. We appeal to Government to take workers as a serious stakeholder who must be engaged”. This year the commemorations were running under the theme, “We are at Crossroads: Arise and Organise, Do not mourn”. In Beitbridge, a handful of people turned up at Dulivhadzimo stadium to commemorate Workers Day. The celebrations were organised by the Zimbabwe Congress of Trade Unions with only 16 people waiting patiently for an unknown guest speaker.